What is a Deed Poll ? You can change your name by Deed Poll and using our legal Deed Poll documents, changing your name is actually quite easy. your needs. We ensure and guarantee all our Deed Polls are just that. 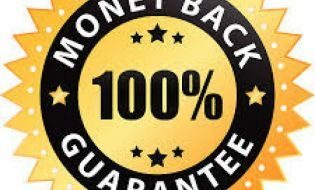 Not only that, we guarantee they will be accepted by all UK government organisations and give a FULL 100% MONEY BACK GUARANTEE to back that up. Once you receive our Deed Poll document you need to execute it (i.e. sign and have it witnessed). This allows you to use the Deed Poll. Using our Deed Poll documents you can change your first name, change your middle name or change your surname. You can even change your title. Using our child Deed Poll documents a parent or legal guardian can change any part of the name of a child, that is any one under 16 year old. A Deed of change of name or deed poll as it is less formally known is a legal agreement in writing, a form of legal contract, which unlike a standard contract, is only concerned with one person, that is you. It is only signed by you in the presence of a witness. The Deed Poll is none the less legally binding and binds the signing individual to a particular course of action detailed within the Deed Poll document. Within the UK a Deed Poll acts as a legal document, much the same, as a Marriage Certificate or Decree Absolute. It acts as documentary evidence enabling and individual to get their official records updated to show their new name. Government departments, companies and organisations need a Deed Poll to officially change an individual’s name. A Deed Poll allows you to change your name legally. Our Deed Poll documents allow you to change any part of your name or the whole of your name. This may be as little as a changing a spelling, to taking on a completely new name. Documentary evidence, in this context, is a document that is legally acceptable for the purpose of changing your name. Examples of documentary evidence are marriage certificates, Civil Partnership Certificates, Decree Absolute Certificates and Death Certificates. In order to change your name for any other purpose or any other reason, you will need a Deed Poll. The Deed Poll allows you to change your name details on a passport, a bank account, driving licence etc. It also allows you to get official documents issued in your new name, such as your passport, driving licence, credit/banks cards, etc.